A sleek looking aluminum framed photo kiosk! Choice of backdrop.. Gold, champaign, white or silver petals. Colored “glitz” backdrops. Different colored damask backdrops. Custom Backdrop Creation – We’ll create a custom step/repeat banner with your name and wedding date on it! For corporate events, we’ll add your logo. 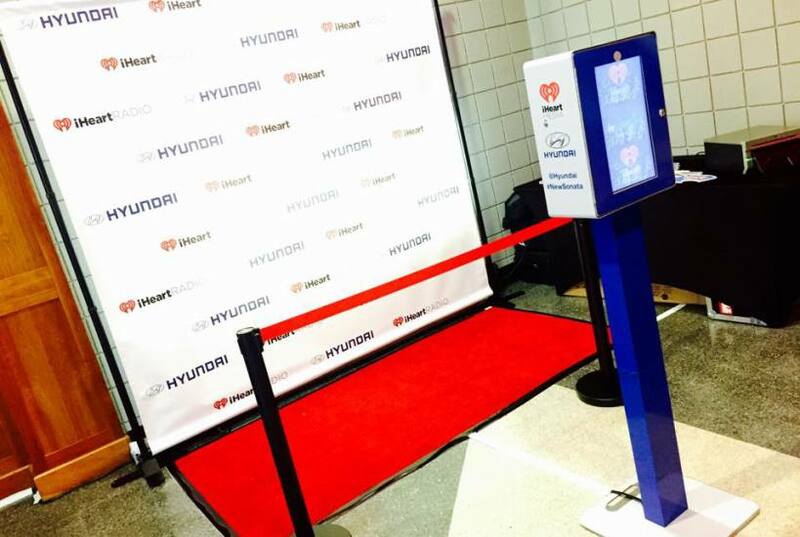 Red carpet and Stanchion Packages available. Add Social Sharing for – Email, Text, Twitter or Facebook your images! Brand Promotion! Ready to get started? We’d love to discuss your ideas and how we can make your next event a memorable one! Contact us today for a free event consultation!